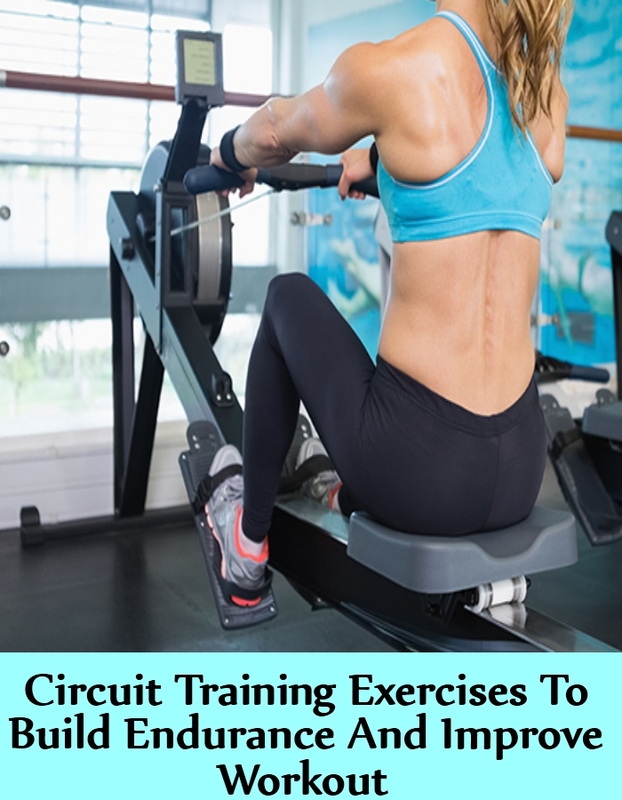 Circuit training is all about a number of exercises which are done one after another. There are a few short rest periods in between each exercise. There are hundreds of circuit training workouts which can be done and used for developing a routine. You can do these exercises with or without any expensive equipment. These circuit training workouts help in building muscle endurance and build strength which is especially beneficial for athletes. Bodybuilders can develop their own circuit training routine as per their requirements. 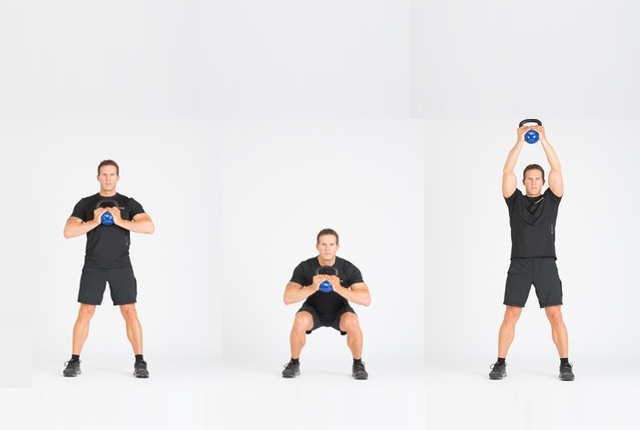 This is an easy exercise which does not take much time and can be easily done by beginners as well.You will need one light dumbbell for the purpose. You will hold the dumbbell in your hand and by your side. 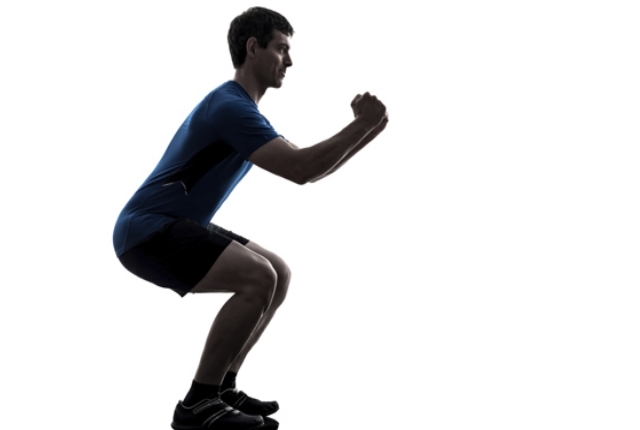 You need to slowly squat down till your knees are well bent and they are above 90 degrees. As you slowly extend the legs, you need to push the dumbbells overhead. You will also extend the arms completely. You can lower this weight as you squat down. You need to do the workout at least 8-10 times for improved workout. This is an effective exercise which helps to workout a number of muscles which include legs, back, chest and shoulders. Start the workout, by lying in a comfortable position on your back. Keep your knees bent and your feet flat. Your hands shall be placed in a comfortable position on the ground. They need to be just above the shoulders and your fingers shall be facing the body. In a slow and a controlled way, you will lift your hips from the floor and then slowly push them up, as you start to straighten your arms and your legs. In this position, your body shall be in a curved position. When you have pushed completely and to the optimum distance, you will lower and then repeat the movement at least 20 times. Start the workout as you keep your feet shoulder distance apart. You need to keep your trunk flexed forward a bit, as you keep your back straight and in a good neutral position. You need to keep your arms in a ready position. Your elbows shall be well flexed at a 90-degree angle. Now, slowly you will lower the body and position your thighs completely parallel to the ground. Your movement shall be quite explosive and then you can drive your arms up. You can again land on your feet and then repeat the workout. Before you takeoff, you need to slowly extend your ankles to a maximum range. This shall ensure good mechanics and help in deriving maximum benefit from your workout. You need to do this workout for at least 2 minutes and then take rest. Continue for next two minutes and then take a break for next 2 minutes. This is a nice variation of the traditional push-up workout. This exercise works on your core muscles and also the chest muscles. Start the workout, by lying down on your stomach. Your hands shall be a bit wide and more than your shoulder width. Your toes shall be hip distance apart. As you get into a steady motion, you need to move yourself from the floor. You can again tighten the abs and again straighten the back. You will again slowly lower your body down so that your chest is a first width from the floor. You can push up and then again rotate the body towards the left. While you are doing this, you will raise the right arm straight in the air. Your body shall make a T shape. You need to slowly lower your body back down and repeat the movement to the opposite side. You need to repeat at least 15 times. This is a simple and common exercise which helps in losing fat, helps in building endurance, stamina and is a complete workout for the whole day. High knees is a cardio activity which helps to improve your heart rate and improves circulation in the body. You need to have the right kind of shoes for the workout. You can keep running on the spot, but you will pick your knees high up to the height of your waist. You will also pump the arms. Count 10 times and take a five-second break as a rest. You can continue again and take another five-second break. However, if you start feeling tired or exhausted, you should not continue with the routine. You need to take a break and continue again later on.